Shades provides 3 channels of audio/CV processing which can be configured either as active attenuators or as attenuverters. A bicolor LED monitors the polarity and intensity of the audio or CV signal on each output. Unconnected inputs are normalized to an internal precision voltage reference, which can produce either a +5V or +10V constant voltage. 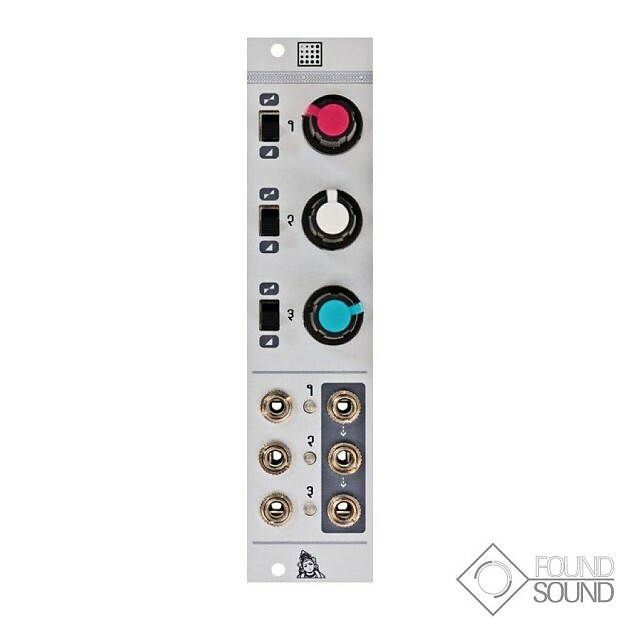 Normalisation on the outputs allows the module to be used as a mixer or offset generator: when no jack is inserted in an output, the signal from this output is summed into the next output. Combined with the internal voltage reference, this allows the module to be used as a CV offset control.